Video demonstrating the use of the present subjunctive with adjective clauses. 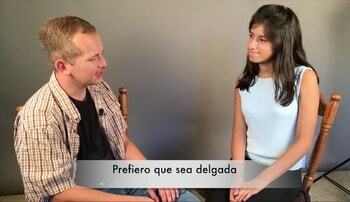 In the video, Melanie asks Rodrigo what he’s looking for in a girlfriend, hoping he will describe her attributes. As he describes his ideal person, he uses the present subjunctive with adjective clauses many times in context.